Stu has been mountain walking since a young age and has trekked all over the UK, Africa and Europe. He has experience of hundreds of peaks in England, Wales and Scotland and international climbs such as Kilimanjaro, Mont Blanc and Mount Toubkal. 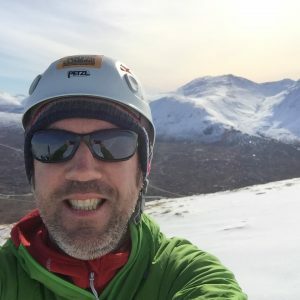 Stu is an “inspirational” Mountain Leader, Duke of Edinburgh Supervisor and Assessor and leads expeditions across the world with leading expedition companies including Mount Toubkal, Vietnam, Malawi and the Sahara Desert. Stu makes sure all procedures are in place and regularly reviewed so that all of our events are safe. Ultimately he wants to spend every day out in the mountains, sharing his experiences with you so that you can find your own adventure and take home some amazing memories. Tracey spent 20 years in charity management and has a strong ba ckground in fundraising and event management. Her love of charity challenges herself means she is committed to providing the very best in advice and support for you during your own adventures. 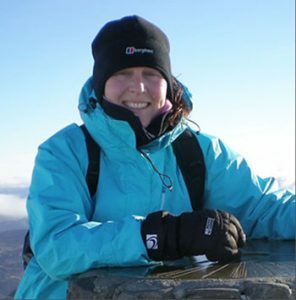 Tracey is your first point of contact and always on the end of the phone or email to help you build your adventure. She will then help you through the preparation, answer any questions and help with any fundraising you might be doing. Customer Service is the most important part of Breese Adventures for her. She is the one who comes up with the ideas for events and is waiting to help you tailor your own. 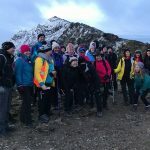 We could not run our events so smoothly without an amazing team of qualified and professional freelance mountain leaders (ML’s). We carefully select our team who we believe are the best professional ML’s in the area. Your feedback confirms this! We also like to select a small number of trainee ML’s each year who we can support through gaining their qualification. If you think you have what it takes to be a Breese Adventures freelance ML (or trainee ML) please contact us. We are very fortunate to have a fantastic team of volunteers who help out on our larger events. They help with the smooth running of your event either on the ground, along the route or at registration. Our policy is to provide fun and exciting roles that leave our volunteers feeling valued and empowered. Some roles can be quite demanding! There are a number of roles that suit a wide range of people including trainee event managers. If you would like to apply to volunteer at a Breese Adventures event please contact us.